Last week when I first read about the protest march being organized for yesterday, shutting down a portion of Chicago's Dan Ryan Expressway, I posted this article, saying "Don't drive by poverty. Get involved." Yesterday and today I'm seeing stories about the march in local and national media. One Twitter writer posted "what's next?" In reading about the march in today's Chicago Tribune I saw a sub head saying "Enough is Enough". I've been using that phrase in articles on this blog for more than 10 years, as steps people could take to follow up on events like this. If people just looked at those articles and took those steps, I'd be happy, and would write no more. However, I want to offer some more information. First, Father Pfleger of St. Sabina Catholic Church in Chicago, has been a huge voice for anti violence and anti-poverty programs for at least 20 years. I've tried to connect with him but with no luck. So, today, I created the maps below. 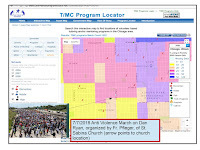 This map shows the location of St. Sabina Church, on Chicago's South Side, on 79th Street, just West of the Dan Ryan. 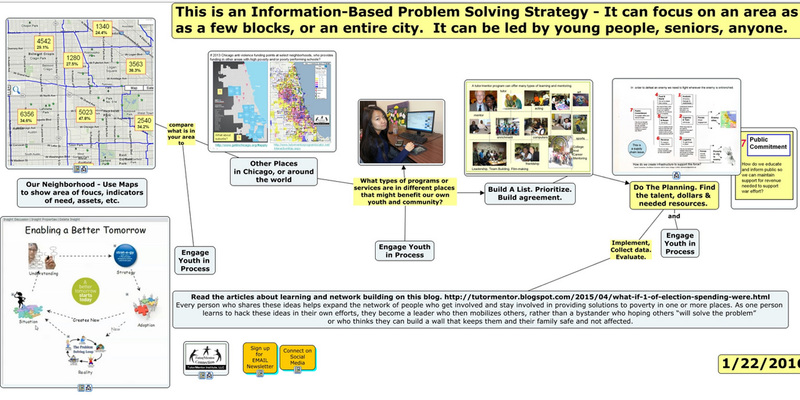 I created the map using the Tutor/Mentor Program Locator, which enables me to zoom in and add layers of information. 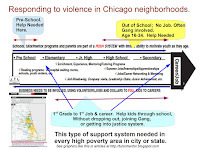 I added poverty, poorly performing public schools, Catholic Churches and existing tutor/mentor programs. Note. The information on the Program Locator has not been updated since 2010 due to my lack of talent and funds. This second map was also created using the Program Locator. 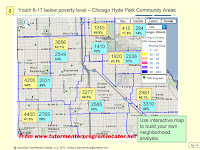 The yellow boxes show number of high poverty youth, age 6-17, living in each Chicago community area, based on 2011 information. The blue boxes show the same information, based on newer information, provided in 2018 by the Heartland Alliance. St. Sabina is surrounded by Englewood (2549 kids), Greater Grand Crossing (2585 kids) and Aburn Gresham (2765) kids. 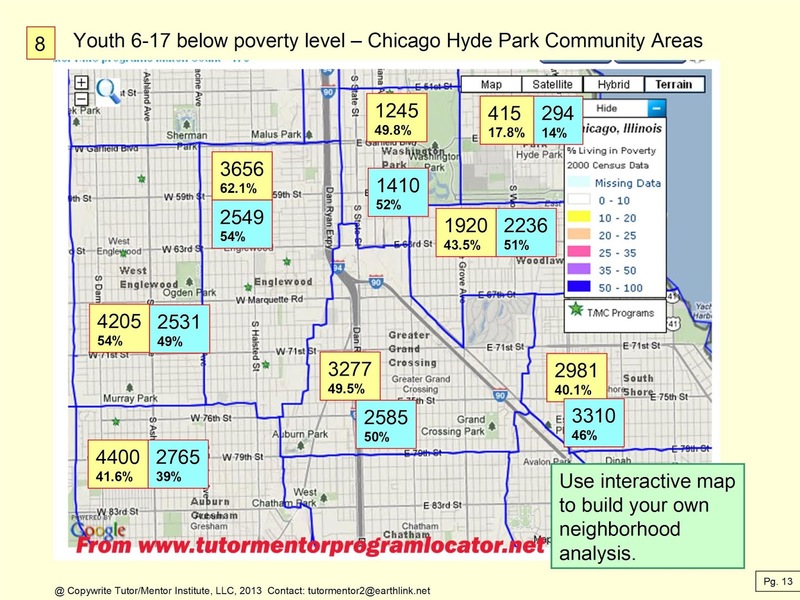 That's a total of 7,899 kids who would benefit if well organized tutor/mentor programs were in this area. However, that's a decline from 2011, when there were 11,333 high poverty kids in this area. My maps also show how the Dan Ryan Expressway cuts through this area, bringing people to and through the LOOP from affluent areas in the South Suburbs. Doing a march on the Dan Ryan can draw attention. Putting a virtual sign saying "Visit my web site. 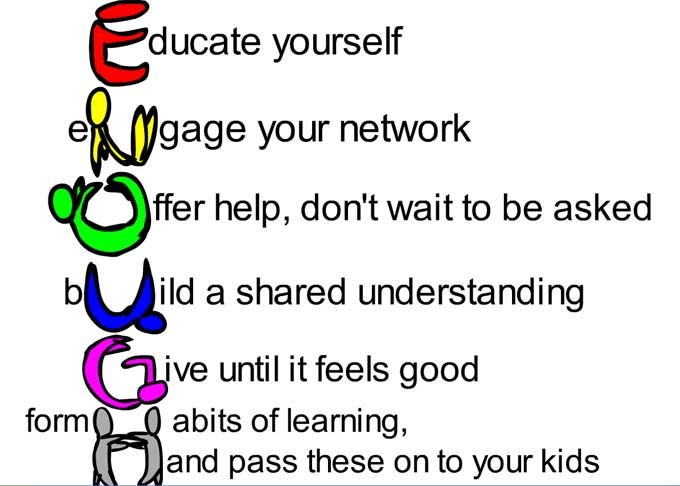 Get involved" can do even more. All of these people could be part of an on-going effort to help change what's happening in high poverty areas of Chicago. 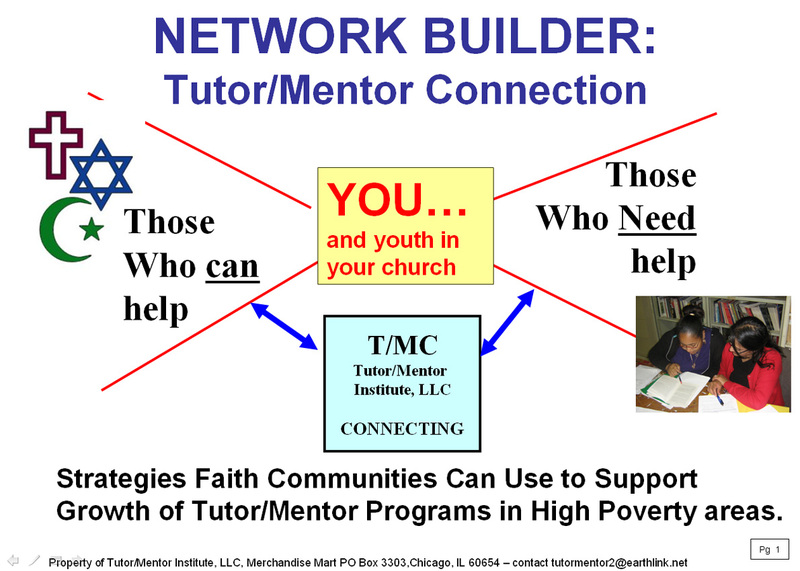 I've been encouraging faith leaders in others throughout Chicago, and in other cities, to duplicate what the Tutor/Mentor Connection/Institute, LLC has been doing since 1993 to help tutor/mentor programs grow in all high poverty areas of Chicago. While I focus on the entire Chicago region, others could focus on smaller areas, such as the community areas surrounding St. Sabina Church. 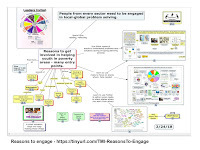 This concept map shows a process that repeats year after year, with more people involved, and by learning from actions taken, and from what others are doing to solve the same problem in different places. 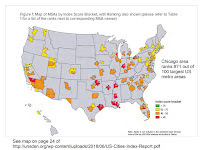 If someone in the map area that includes St. Sabina had been doing this since 1994 the map should show many green stars, showing a range of programs helping kids through school and into jobs. That's not the case in 2018. 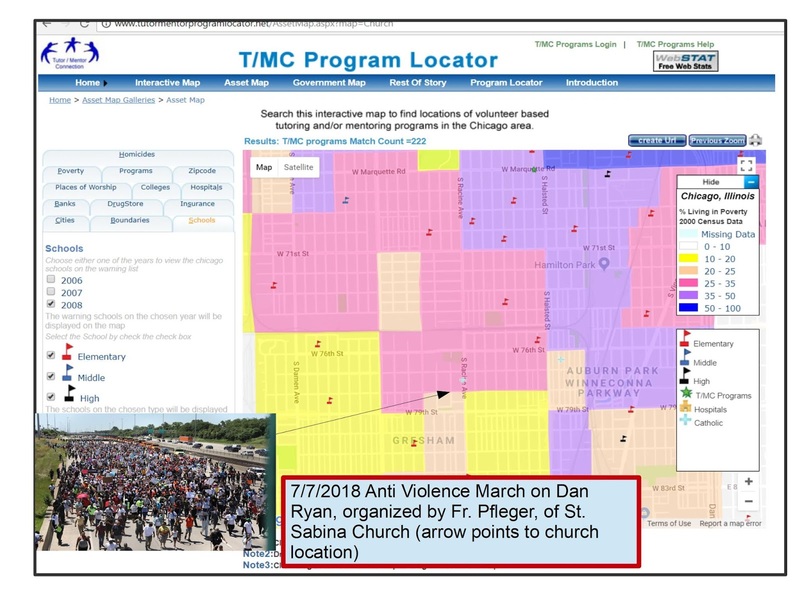 I visited the St. Sabina web site today to see what type of information it was sharing that marchers, and those interested in getting involved because of media attention, could use to get informed and involved. Other than pointing to programs St. Sabina operates, I don't see links to other resources or other youth programs in Chicago. I don't see geographic maps, or concept maps, like you see in many articles on my blog and the Tutor/Mentor Institute, LLC web site. I'm not intentionally picking on St. Sabina. 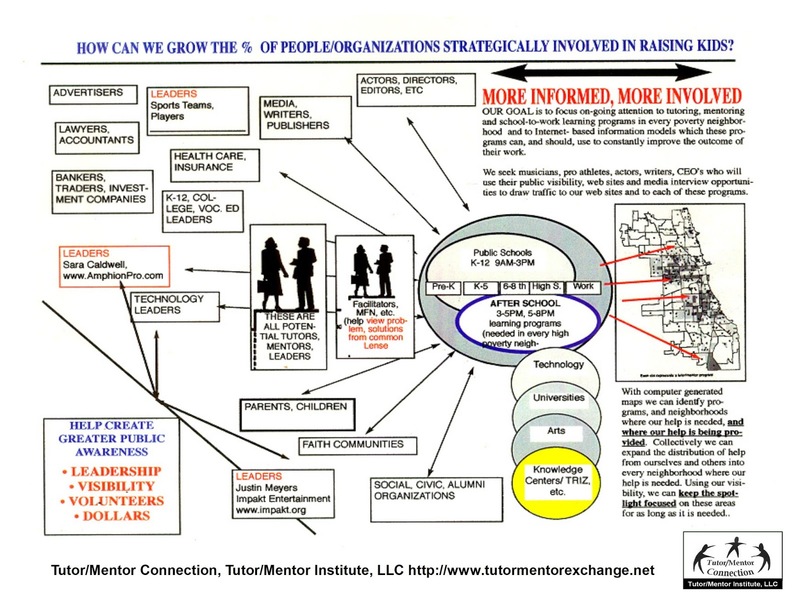 I don't see very many other organizations duplicating the information sharing that I do. Here's another map from my library of concept maps (which is freely available to anyone) On the left side of the map I show a section of the Tutor/Mentor web library, which points to articles and research showing the root causes and history of poverty, inequality, racism and violence in America. On the right I show some other maps with additional information that planners might use. Click on the small box at the bottom of each node and go to other maps, or to sections of the web library. 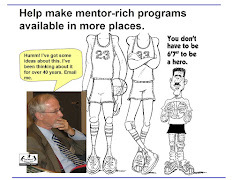 I've been trying to motivate faith leaders (and others) to adopt the Tutor/Mentor Connection strategy since the mid 1990s, with little success. Here's a pdf presentation where I outline what actions every faith group in the region could be taking every week. Visit this page and see outlines of strategies others could take. One simple action would be to put links on a church, synagogue or mosque web site to the Tutor/Mentor Institute, LLC web site and this blog. 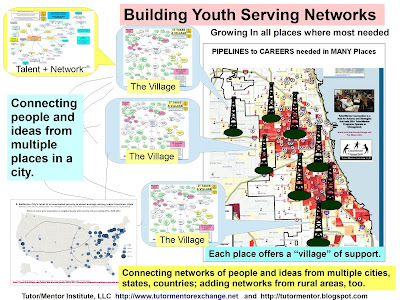 Another would be to form a team that helps me collect information about existing youth tutor or mentor programs in different parts of the Chicago region. Just visiting this list to see if the links work and if programs still exist would be a valuable service. Here's an example of information in the library that Fr. Pfleger might point people to. 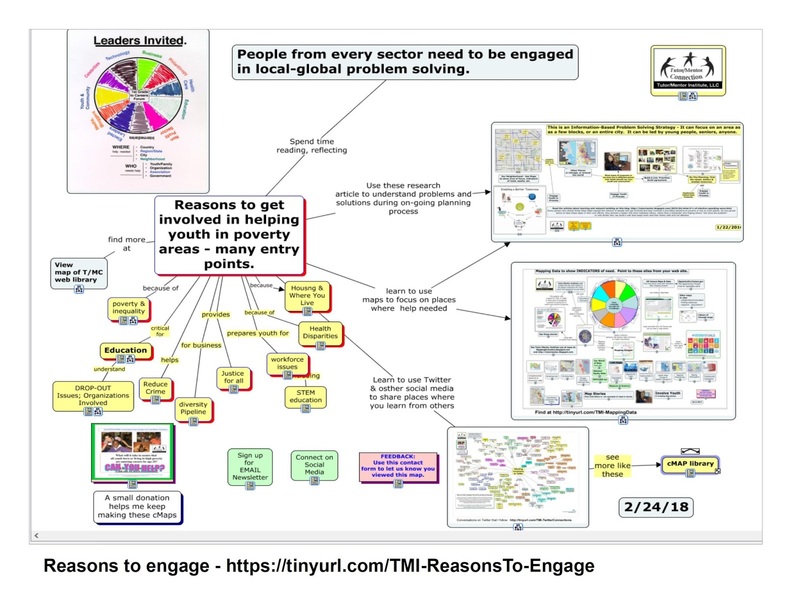 On the top of this graphic is a "race poverty" concept map that I created to show the many different challenges people living in high poverty areas face. 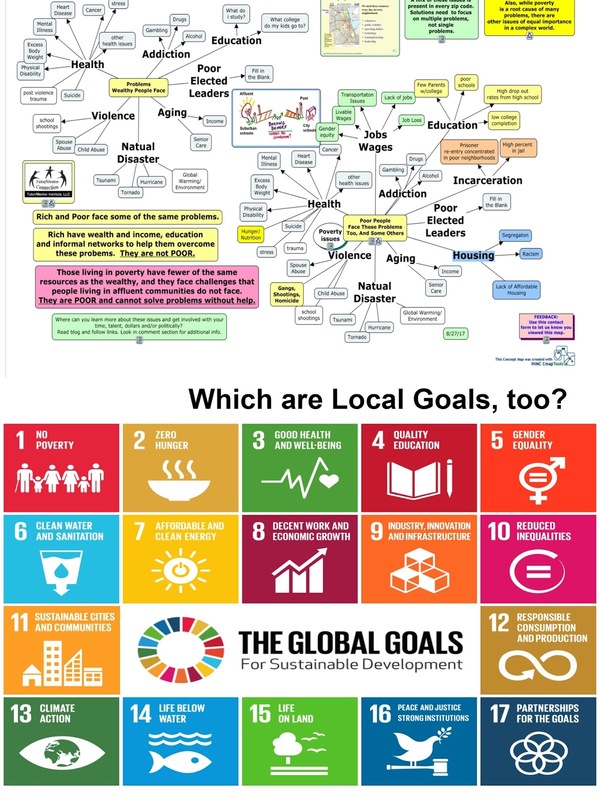 On the bottom is a graphic showing 17 United Nation's Sustainable Development Goals. Goal number 1 is "eliminate poverty". See both in this article. Now most people might think the UN goals are only focused at poor countries in Africa, Asia and Central and South America. That's where you are wrong. 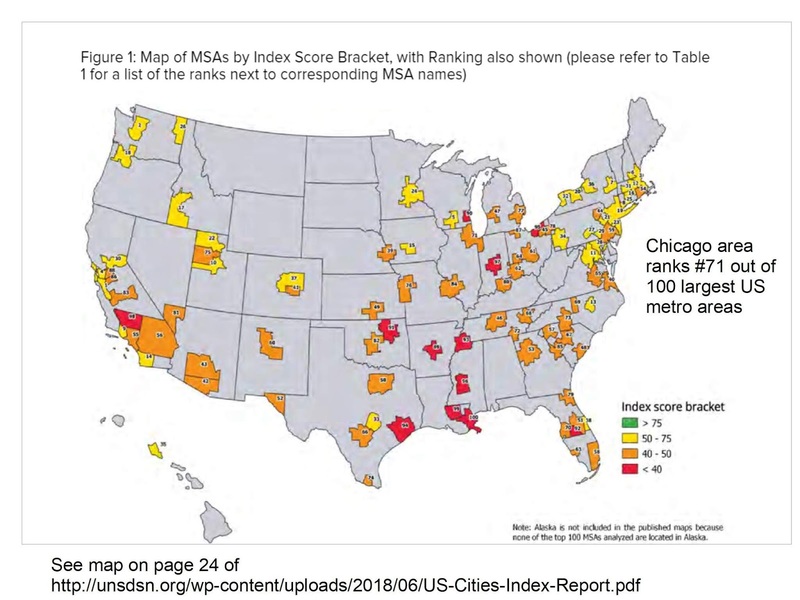 Yesterday I read a 2018 report titled "Leaving No US City Behind", showing how well the largest 100 US cities are doing in reaching the UN goals by 2030. This is one of the maps showing the cities, with color codes showing how they rank. I think that Fr. Pfleger and other faith leaders, and the Mayor, could point to this report from their web sites and create discussions that engage their communities in improving this standing. Imagine if this were the focus of the Mayor's Summer Reading Program. 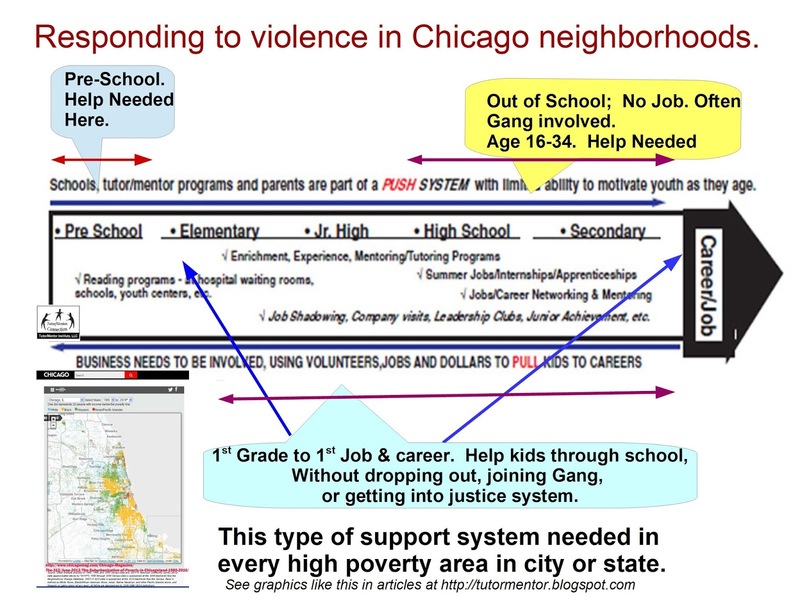 As I read the report I used the Hypothes.is annotation tool to annotate and highlight sections of the report, and to add comments in the margins showing how work I've been doing tries to mobilize people to help solve these problems in Chicago and other cities. I also added it to my web library. Others can do the same. In fact, until more people build web libraries like mine, then draw others together to read, reflect and discuss the information, and use maps to focus attention and resources to specific areas, not much will change and the violence will continue. Faith leaders have been doing what I'm suggesting for a couple thousand years as they point people to different religious texts and encourage discussion and reflection. 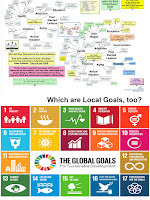 I think they just need to add some other reading materials to their web sites, pointing to the SDGs and my own "race poverty" links, and then encourage people to read a little every week, then gather together in big and small groups, to discuss and act on what they are reading. Don't wait. The problems we face can get worse.